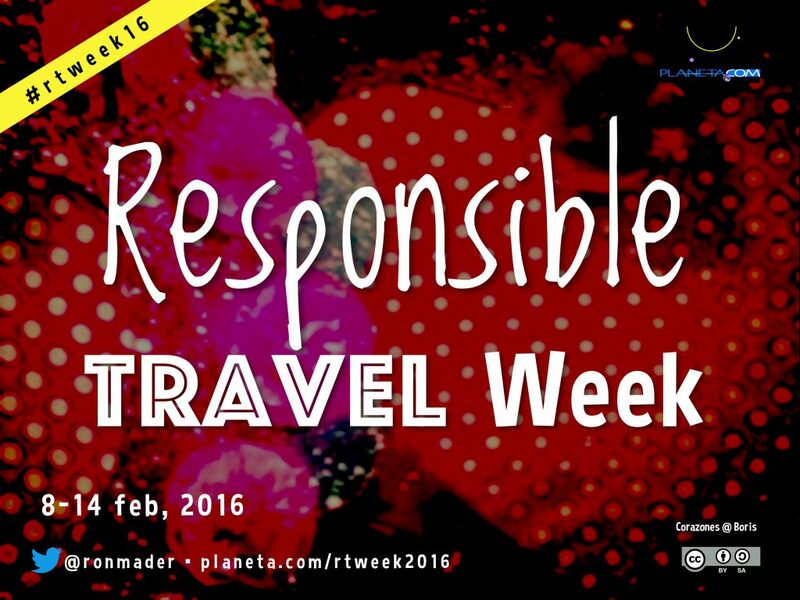 2016 Responsible Travel Week took place Feb 8-14, 2016. We suggested that participants budget at least one hour/day for participation. Responsible Travel Week is a live demonstration of social web as an easy and inexpensive means of documenting the challenges and successes of developing responsible tourism. Consider this an unconference. There is a flexible agenda with topics of common interest an an invitation to the participants themselves to show responsible travel in action. Are there any specific topics you would like to see addressed during Responsible Travel Week? New local events in Las Vegas and nearby Henderson. For the third year we’re hosting the event from one of the world’s most storied cities. Look for early morning photosafaris and soundwalks in Henderson parks. Country Contest: Which country will win our inaugural contest for most engaged participation during RT Week? Google Docs We are setting up a half dozen docs focusing on responsible travel. We’ll also see if there’s interest in creating transcripts from the hangouts. Increased use of Google+ for Live Hangouts. Now we can chat directly with participants with live Q&A. Ideally each day’s hangout (or hangouts) will include 3-5 participants. Outbounding. Upvote your favorite RT features on Outbounding. It’s a new year and we begin Responsible Travel Week with a clean slate. Here are a few things you can do to prepare for a lively week. Reflect on why you care about travel, what you love and what you would like to learn about responsible travel. Register for the event using this form on Eventbrite and please register for social web channels you’d like to master. Bookmark this page. Our wiki offers the helicopter view. If it makes it easier to access, make it a favorite on your browser or device of choice. Make a wishlist of the things you’d like to do, people you’d like to meet, places you’d like to visit. If you’re a traveler, what ‘responsible travel’ options are of greatest interest? If you’re a local who receives visitors, what are you most proud of in your community you’d like to share? Collaborate! In the backchannel (email, private face-to-face chats), talk this over with colleagues and make an announcement or presentation early in the week. We answer any questions for your newscast, blog or personal interest. One of our challenges for Responsible Travel Week 2016 #rtweek16 is to learn how to make the most of live video and livestreaming. We will schedule some 1-1 and small group hangouts for real-time conversation. I’d also encourage those in the field to create your own videos. There are plenty of options, including YouTube, Vimeo and Periscope, what I’d call the app of the year! What’s in it for you? Bottom line: If you want to increase your viewers/audience, just let us know where to find your video with the #rtweek16 hashtag. Responsible Travel Week Day #1. Today’s challenge: Be creative. This month we are planning a few live video hangouts via Google and YouTube and the periscope app where we plan to visit Cornerstone Park, the Las Vegas Bike Shop #nvbikeped, el Vaquero, the Ethel M Cactus Garden. Responsible Travel Week Day #2. Today’s challenge: Be generous. Question: What are your favorite bike-friendly businesses? Responsible Travel Week Day #3. Today’s challenge: Be attentive. Responsible Travel Week Day #4. Today’s challenge: Be curious. Responsible Travel Week Day #5. Today’s challenge: Be empathetic.